Easy to use online text engraving tool. 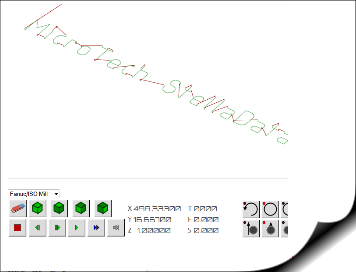 Simply enter the text that you want to engrave and the tool converts it to ISO G-code. Free online tool. No registration or e-mail required. 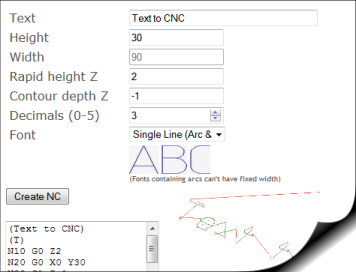 G-code editor with fast online CNC plotter let's you simulate the basic movements of your CNC program. Supports G-codes and Heidenhain Milling machines.